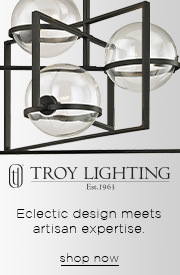 Save 20% on Troy RLM Lighting, Troy Lighting Product From 04/16/19 12:00 AM - 04/30/19 11:59 PM et. Cannot be combined with any other offer or discount, including Pro pricing. Excludes clearance, closeout, replacements, & parts. Save 15% on Sonneman Product From 03/01/19 12:00 AM - 03/19/19 11:59 PM et. Cannot be combined with any other offer or discount, including Pro pricing. Excludes clearance, closeout, replacements, & parts. 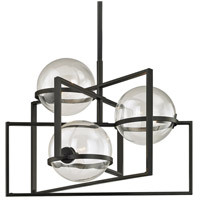 Save 15% on Harp and Finial Product From 03/19/19 12:00 AM - 04/02/19 11:59 PM et. Cannot be combined with any other offer or discount, including Pro pricing. Excludes clearance, closeout, replacements, & parts. Save 20% on Justice Design Product From 04/02/19 12:00 AM - 04/16/19 11:59 PM et. Cannot be combined with any other offer or discount, including Pro pricing. Excludes clearance, closeout, replacements, & parts. Save 20% on Mitzi Product From 04/11/19 12:00 AM - 04/23/19 11:59 PM et. Cannot be combined with any other offer or discount, including Pro pricing. Excludes clearance, closeout, replacements, & parts. 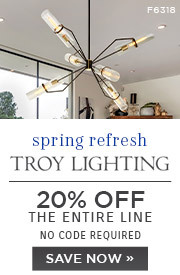 Save 20% on Hudson Valley Product From 04/11/19 12:00 AM - 04/23/19 11:59 PM et. Cannot be combined with any other offer or discount, including Pro pricing. Excludes clearance, closeout, replacements, & parts. 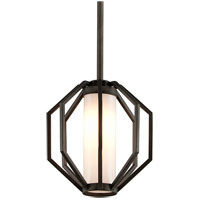 Save 20% on Corbett Lighting Product From 04/12/19 12:00 AM - 04/26/19 11:59 PM et. Cannot be combined with any other offer or discount, including Pro pricing. Excludes clearance, closeout, replacements, & parts. 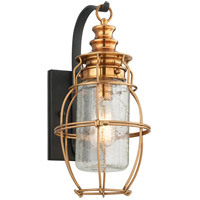 Invite steampunk chic to your spaces with the Atlas 2 Light Wall Sconce by Troy Lighting. 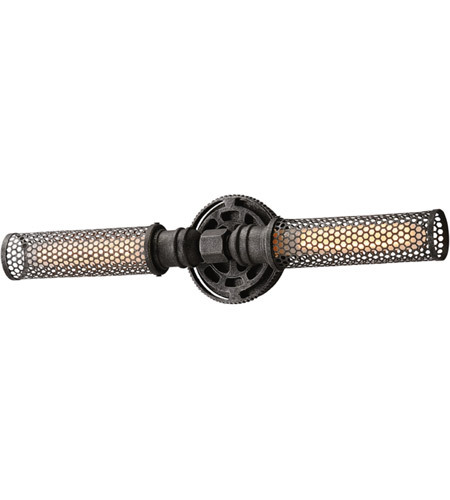 Constructed from robust hand-forged iron and aluminum, it uses 2 (60 watt) T-lamps. 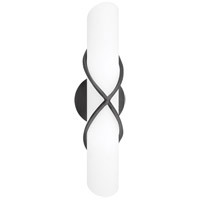 Part showpiece and practical lighting, the fixture features mesh cylinder light shades attached to a gear-like backplate. 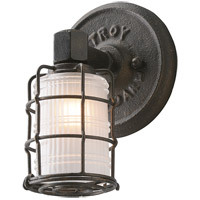 For unique accent lighting, this industrial style sconce mounts vertically or horizontally. Height from Center of Wall Opening: 11.50 in.